A mixture of concrete and a soul of stainless steel braids constitute every pole we produce. 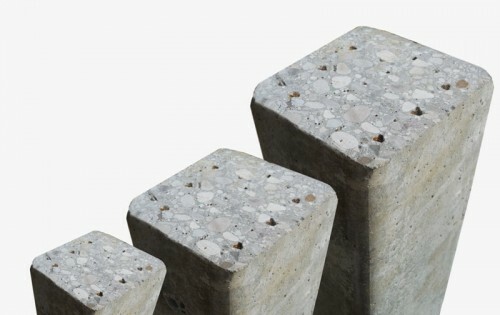 Cement, pebble stones and river sand are the main ingredients of a cement post. We select certified local raw materials coming from our area in northern Italy, along the plain of the Piave River and therefore we can achieve better quality and reduce the production and logistics cost. We also carefully select the harmonic steel braids and follow the wire drawing process very closely. Weathering Steel (also known as COR-TEN) is a type of steel extremely resistant to atmospheric corrosion. The two types of steel used by Spinazzè are S300J2W and S355J2W with a resistance of 450 MPa. Completely desmutted and purified from any metal residual or slags, the foil thickness is also strictly checked and verified. Each production lot is allocated a unique date code and can be exactly traced. Certified chemical analysis is also available upon request. Zinc-Magnesium coated steel has a high resistance to corrosion. Magnesium is in fact a corrosion-retardant agent and protects from contamination of external agents. 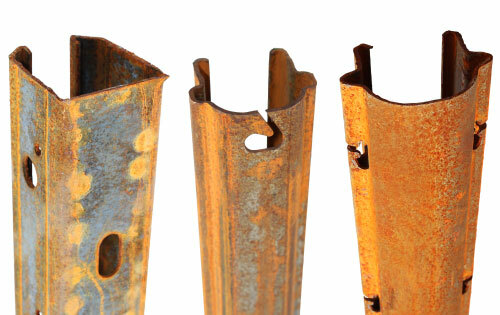 Oxidation around holes and loops is nearly absent. The pole’s surface is uniform and smooth without roughness. The type of metal sheet employed by Spinazzè is S250GD+ZM275; it is certified and completely traceable in order to verify the raw material’s origin and the processing that has been conducted. Spinazzè Group provides a service of consultancy, supply and installation of vineyards and orchards in Europe and around the World. Out technical personnel offers assistance for topographic surveys and the calculation of the installation area. We also provide our clients with information for the correct use of accessories, constant updates on new technologies and new training systems. This is a well tested process at the client’s service, both for production and logistics needs. Complete selection of accessories for orchard structures and plant support systems. 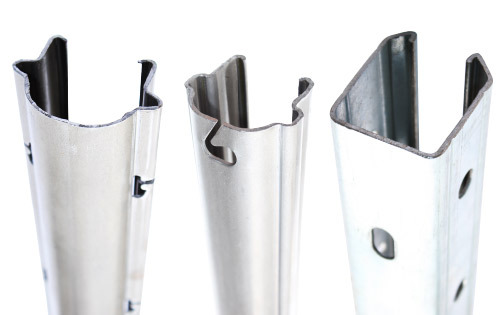 Metal and plastic accessories for anti-hail and anti-raing covering structures for orchards. Dispatching concrete poles and materials for vineyards and orchards worldwide requires solid internal organization and control of logistics and furthermore a deep knowledge of customs duties and regulation in each country. Spinazzè has developed its own internal shipping division in order to follow the client’s product dispatching with no intermediaries. Every shipment of poles and accessories is organized considering the most convenient shipping combination, thanks to twenty years of experience in this field, we are now able to dispatch products to every location, also in the most difficult situations in the international geo-political situation. Our efforts are now worth it and today we are able to provide timely and safe deliveries at a very competitive price. Fulfilment of custom clearance and all documents. By land, by sea, by air: we find the best combination for your shipping. Every installation is designed according to the client’s production needs, the production area and the varied character of the land. During decades of experience in this sector Spinazzè has followed the evolution of vineyards and orchards training systems step by step. Poles, accessories and covering systems are chosen taking into consideration all the needs emerged during the planning phase. When the installation phase begins, our trained technicians conduct the installation carried out to the highest standard. Providing advice for the pole type, accessories, suitable structure. A coordinated team work to solve any doubt and refine the installation.